Your pretty little lady will wow the crowd in these dazzling rhinestone high heel shoes! 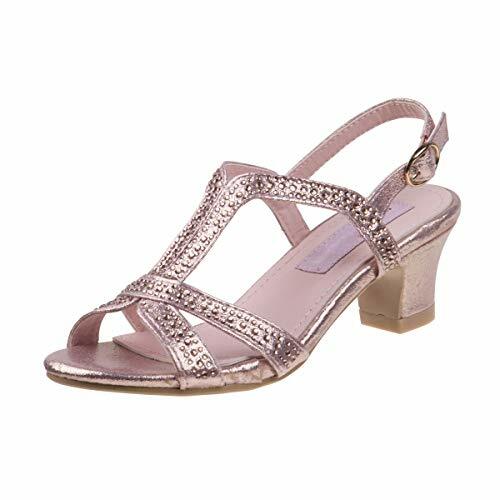 Features rhinestone overlay twist strap with ankle strap, back zipper Closure for easy slip on/off. Color:Blue/red/black/yellow/purple Size Conversions Please refer to size chart for te correct sizes: Size:US 11 M US Little Kid: 30#Shoes Length:17.5cm fit 2-3Years. Size:US 12 M US Little Kid: 31#Shoes Length:18.0cm fit 4-5Years. Size:US 13 M US Little Kid:32# Shoes Length:18.5cm fit 6-7Years. 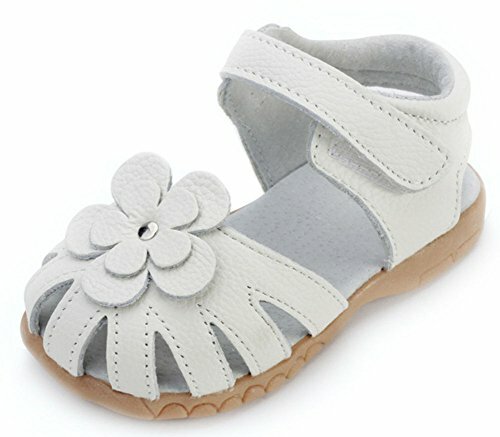 Size:US 1 M US Little Kid:33#Shoes Length:19.0cm fit 8-9Years. Size:US 1.5 M US Little Kid: 34#Shoes Length:19.5cm fit 10-11Years. 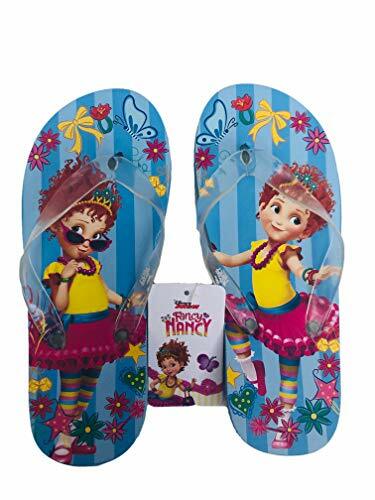 Size:US 2 M US Little Kid: 35#Shoes Length:20.0cm fit 11-12Years Heel hight: 1.6inch Package Included:1 pc Note: 1. The real color of the item may be slightly differently from the pictures shown on the website caused by many factors such as the brightness of the computer screen or the lighting levels; 2. A slight measurement deviation within 0.5-1 cm is allowed; 3. This listing is for the SHOES only, mobile phone and other accessories (if any) are not included; 4. All of our items are new from factory, it's normal that some may have little smells, please don't worry, it will disappear soon. If we fail to satisfy you for any reason, please do contact us in time, we promise every customer with 100% fine after-sell service. We've been always trying our best to make it pleasant shopping experiences for everyone of you. Bebe girl's strappy gladiator sandals are the perfect fit for your baby girl. 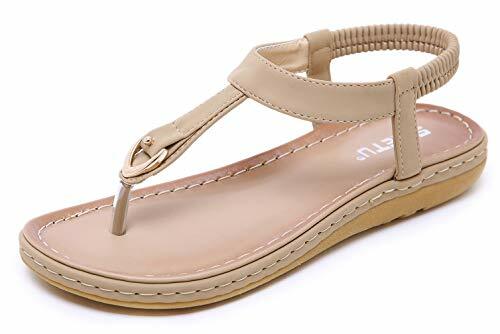 Great for warm weather wear or going to the beach and she will love the adorable stud trimming detail. These classy sandals will be your daughters go to for summer footwear. 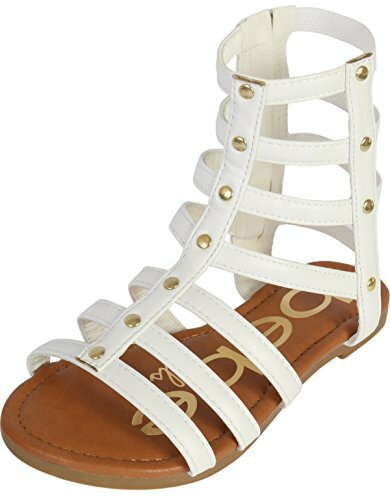 Beautiful high strap design with metallic stud decor and gladiator straps add to the stylish look of this sandal Convenient side zipper closure allows for easy on easy off while providing a secure fit for little feet Quality Designed, durable man made sole for long lasting comfort even after a long day on her feet Classic open toe sandal provides a great fit and breathable comfort for hot summer days, a great look for any occasion Cute and Fashionable colors to choose from so you can pick the perfect one for any outfit; Please Reference the Variations for All Available Sizes & Colors! Treat your little girl to her new favorite sandal by Bebe. She will look great at any summertime event while staying comfortable during hours of play. Stop by Our Storefront to See the Rest of Our Great Deals! 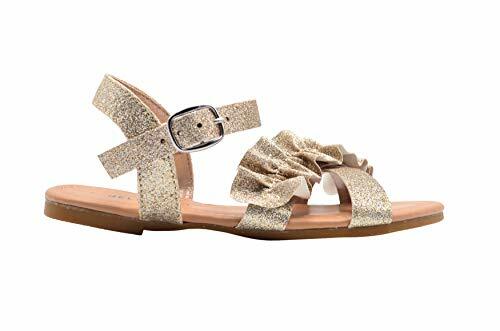 Nanette Lepore Girl's glitter dress sandals are perfect for your little princess. Great for warm weather wear and sophisticated enough for more formal summertime events. 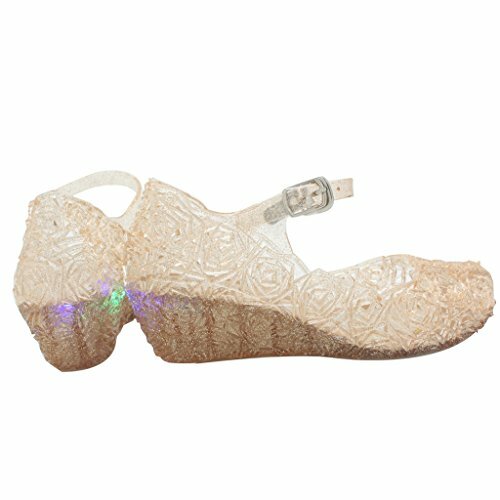 She will love rhinestone and glitter pattern and will be your daughters go to for comfortable dressy footwear. 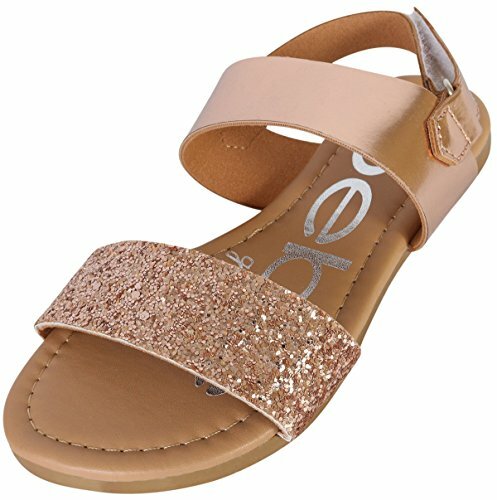 Cute glitter design with rhinestone accents adds to the stylish look of this sandal Adjustable side buckle closure allows for easy on easy off while providing a secure fit for little feet Quality designed, durable and lightly padded sole for long lasting comfort even after a long day on her feet Classic luxurious sandal provides a great fit as well as fashionable look for any occasion Two colors available so you can pick the perfect one for any outfit; Please Reference the Variations for All Available Sizes & Colors! Treat your little girl to her new favorite sandal by Nanette Lepore Girls. She will look great during special occasions while staying comfortable during hours of wear. Stop by Our Storefront to See the Rest of Our Great Deals! 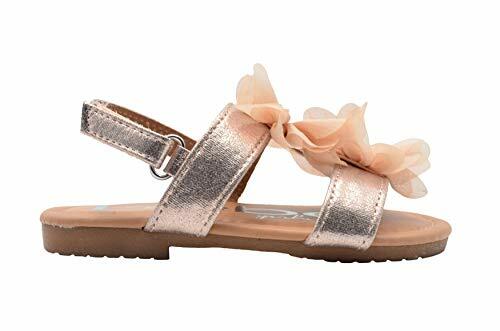 Bebe girl's metallic sandals with chunky glitter strap are the perfect fit for your little girl. Great for warm weather wear or going to the beach and she will love the adorable rock glitter detail. These classy sandals will be your daughters go to for summer footwear. 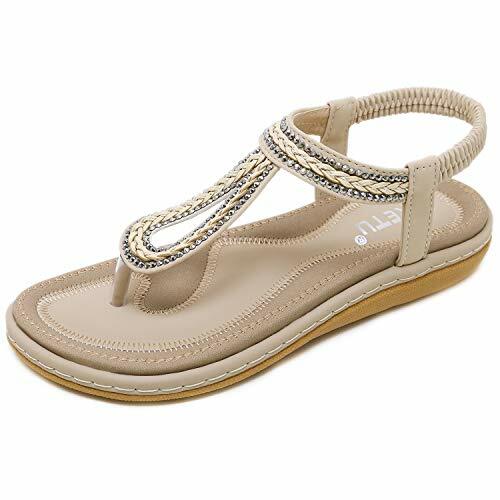 Beautiful design with metallic glitter strap decor add to the stylish look of this sandal Convenient hook and loop side closure allows for easy on easy off while providing a secure fit for little feet Quality Designed, durable man made sole for long lasting comfort even after a long day on her feet Classic open toe sandal provides a great fit and breathable comfort for hot summer days, a great look for any occasion Cute and Fashionable colors to choose from so you can pick the perfect one for any outfit; Please Reference the Variations for All Available Sizes & Colors! Treat your little girl to her new favorite sandal by Bebe. She will look great at any summertime event while staying comfortable during hours of play. Stop by Our Storefront to See the Rest of Our Great Deals! 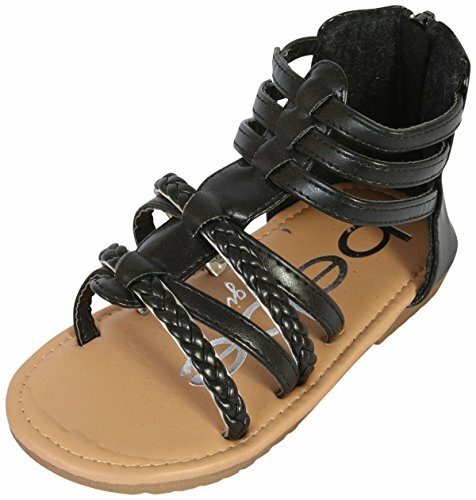 Bebe girl's gladiator sandals with glitter braided straps are the perfect fit for your girl. Great for warm weather wear or going to the beach and she will love the adorable glitter braid detail. These classy sandals will be your daughters go to for summer footwear. Beautiful high top design with glitter braid decor and gladiator straps add to the stylish look of this sandal Convenient back zipper closure allows for easy on easy off while providing a secure fit for little feet Quality Designed, durable man made sole for long lasting comfort even after a long day on her feet Classic open toe sandal provides a great fit and breathable comfort for hot summer days, a great look for any occasion Cute and Fashionable colors to choose from so you can pick the perfect one for any outfit; Please Reference the Variations for All Available Sizes & Colors! Treat your little girl to her new favorite sandal by Bebe. She will look great at any summertime event while staying comfortable during hours of play. Stop by Our Storefront to See the Rest of Our Great Deals! Get glam without trying by simply slipping into fancy. 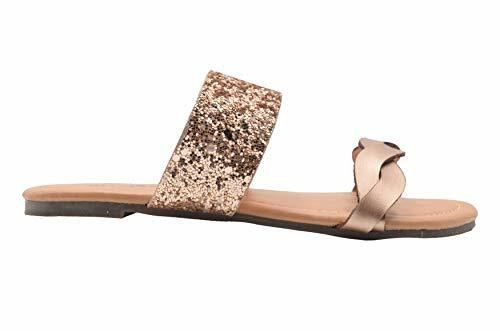 This sparkly sandal partners a straightforward slide silhouette with a rhinestone-covered upper that's reflect the sun's rays while garnering the attention of stylish passersby.